Happy New Year, all! With all of those holiday parties on your agenda, we gathered up the most important stories in entertainment you may have missed. So, before we look forward to 2016, let’s rewind to December’s biggest headlines in Hollywood! The year may almost be over, but these artists will surely continue to celebrate the success of their music in the new year. The 2016 GRAMMY nominations were announced on December 7, and gave music’s biggest acts even more reasons to be cheerful in the holiday season. Newcomers Sam Hunt, Meghan Trainor, and Tori Kelly snagged “Best New Artist” nods for music’s biggest night. Meanwhile, GRAMMY veterans Taylor Swift and Ed Sheeran were both nominated in the “Record of the Year” and “Song of the Year” categories. However, the coveted “Album of the Year” title will be the one-to-watch. While Swift could take home the top prize for her hit album 1989, she has tough competition after being named alongside The Weeknd, Alabama Shakes, Chris Stapleton, and her “Bad Blood” co-star, Kendrick Lamar. Other notable nominees for the night include Wiz Khalifa and Charlie Puth for their single “See You Again”, Bruno Mars and Mark Ronson’s “Uptown Funk”, and Ellie Goulding for 50 Shades of Grey track “Love Me Like You Do.” The GRAMMYS air on CBS on February 15, 2016. While many stars were busy making music this year, plenty more were making babies! December was the birth month for a few of Hollywood’s most-talked-about tots. Kim Kardashian followed in sister Kourtney’s footsteps, and delivered a bouncing baby boy in the last month of the year! 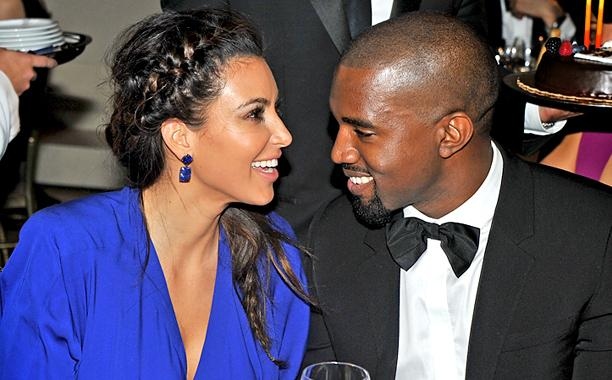 She and hubby Kanye West welcomed their second child together on the morning of Saturday, December 5. After announcing his arrival to the world on Twitter, fans of the couple anxiously awaited the name of the new addition. Kardashian later shared her newborn’s name, Saint West, in a post on her Instagram. We’re sure little North will be a great big sis! Another big star became a new parent this month when Dwayne “The Rock” Johnson’s girlfriend, Lauren Hashian, gave birth to their daughter, Jasmine. The beautiful couple’s baby girl was delivered on Wednesday, December 16. Johnson shared the first picture of the newest member of their family just a few days later on his Instagram account with the caption, “Christmas came early.” How sweet! December brought plenty of things to smile about, but it also brought a few tears! 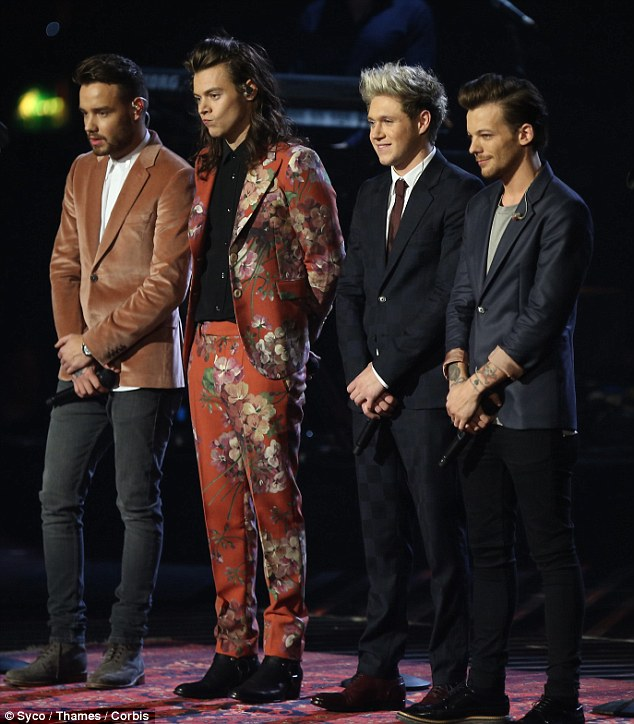 One Direction surely left their “Directioners” with more than a few sniffles as the British/Irish boyband sang their swan song on the finale of the X Factor UK. The British realty show, started by music honcho Simon Cowell, is home for the four boys who got their start on it as individuals in 2010. Liam Payne, Niall Horan, Harry Styles, and Louis Tomlinson performed two songs off their new album, Made In The A.M. as they bid their fans farewell. But don’t worry, it’s only temporary! The four lads announced they were taking a much-needed break earlier this year, but have since promised fans they will return. Their live performances on the British-based show were met with standing ovations and plenty of feels, as a video montage of their time as a group played behind them during their performance of the fan-favorite tune, “History”. It was certainly a bittersweet moment for the boys, but Tomlinson assured fans earlier in the year the hiatus will only last about 18 months during a sit-down with British talk show host, Alan Carr. No matter how long the break, we’ll be anxiously awaiting their return. Enjoy the time off, boys! 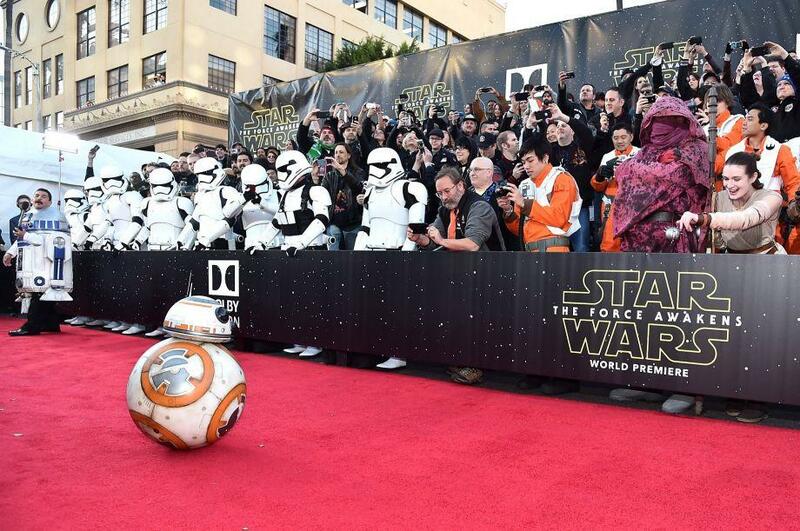 December was the month many Star Wars superfans were awaiting as Star Wars: The Force Awakens opened on December 18. The sci-fi saga continued with the release of the J.J. Abrams-directed flick, and it got plenty of viewers. The film had a massive opening weekend raking in $247.8 million. But as fans and critics alike continue to filter into theaters for their third and fourth viewings, the film has taken in more than $1.16 billion worldwide going into its third weekend. And while the mega blockbuster continues to shatter records, other films weren’t as lucky. Tina Fey and Amy Poehler’s much-anticipated flick, Sisters, opened directly against the Star Wars film, and garnered a total of $13.4 million in its opening weekend. Compared to its sci-fi counterpart, the Fey-Poehler film has so-far earned a mere $43 million worldwide. Only time will tell where these films will end up, but force is strong with Star Wars.